During my first trimester when I couldn't eat anything at all and food became my number 1 enemy, most of the time I survived on bread. 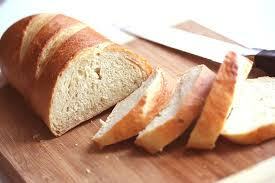 Since nothing tasted good, and with my tendency to throw up - bread and such were my only source of energy. Consuming bread would give me 20-30% extra energy than usual. I was reminded of this declaration by Christ, " I am the bread of life. Whoever comes to me will never go hungry, and whoever believes in me will never be thirsty, " (John 6:35) and it dawned on me that this is what Jesus meant when he said, "I am the bread of life," or "I am the living bread," (John 6:51). If having one normal chapati / roti / bread can make a difference in my health - and if Christ is the living bread and the bread of life, then I'll never be sick, never be weak. I'll be strong in him if only I could "have" him and "consume" him. Amen. I am sorry u had such a tough pregnancy. But it brought u to appreciate Christ as our Bread of Life more; there is indeed a blessing in every hardship when we r in Him. Remaining hydrated with the "living water".